Hey guys, first up apologies for the lack of posts. I’ve been in hospital for a few days and got discharged yesterday evening. I have pressure on my brain which when it gets really high causes me super bad headaches (the “omg my brain is about to explode” type), really bad vision, nausea and feeling really ill and tired. I had to get it drained to relieve the symptoms. I had a lumbar puncture (my third one this year!) but I’m petrified of needles, especially when they’re going in my spine! I’m glad it’s done, I’m currently laying on the sofa, stocked up on painkillers and feeling sorry for myself! Haha. I set a blogging schedule to upload on Monday, Wednesday and Friday but obviously thats been a flop. Although it’s a Tuesday, I wanted to get a post up today, as well as Wednesday and Friday. Enough rambling, onto the post…. 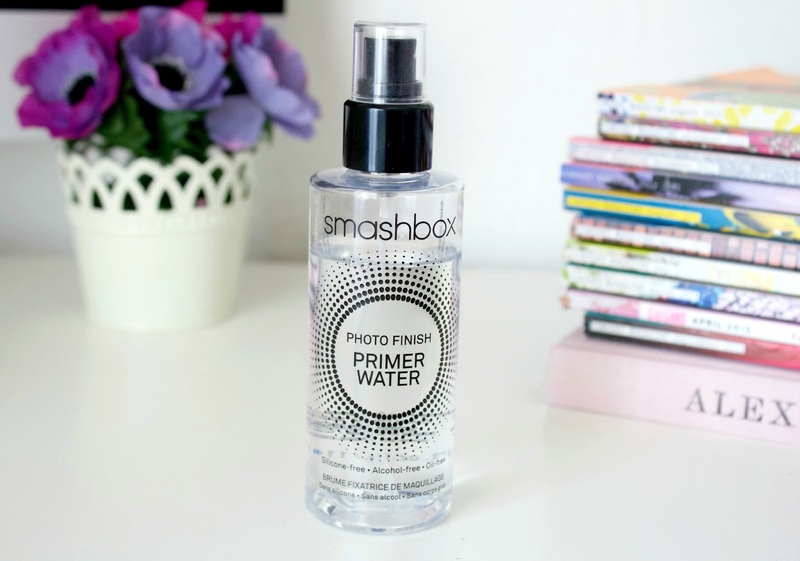 The Smashbox Primer Water interested me when I first heard about it. I’ve used various different primers over the years, including ones from Smashbox, and find primer vital to prepping the skin before applying makeup. The Primer Water is said to create a sheer base for makeup application, wake up the skin and restore moisture, leaving it vibrant and radiant for hours. You can use this before applying makeup to primer the skin, after to set it or during the day to keep your makeup looking fresh. It’s silicone free, which is great for super sensitive or acne prone skin. Silicone can be a helpful ingredient to smooth and even out the skins texture, but the filling and matifying effect can also allow oil and impurities to sit on the skin and cause breakouts. I like that it’s a spray, as you don’t need to touch your face to apply it, giving less chance of spreading bacteria from you hands. I like to first apply a pore minimising primer to my T-zone (usually the L’Oreal Magic Touch Instant Blur) then spray this all over my face. I leave it for a minute or two to settle then apply my foundation. I do feel like it preps my skin and does help my foundation go on smoother, and also stops my foundation from sticking to dry patches if my skins more on the dry side. I’ve been asked by a few people how this compares to other facial spays, like the Urban Decay All Nighter and MAC Fix+. Now for me, there’s nothing really to compare other than the fact they’re all facial sprays. I find this only good for use before my makeup, as it leaves a slightly sticky/tacky layer. I’ve found it makes no difference to the lasting power, but I don’t have a problem with the longletivity of my makeup anyway- I seem to have finally mastered a long lasting base (I’ll be sure to post about it soon!) However I do like how this helps my makeup to go on smoother, and does add some moisture to the skin. After applying makeup I prefer to use my MAC Fix+, and all though that doesn’t prolong the wear of makeup, it gives a really fresh dewy look and gets rid of that powdery look I sometimes get, without leaving the tacky feeling the Primer Water does. I have read other reviews which say the ingredients in this are exactly the same as the MAC Mineralize Charged Water, which I haven’t tried but is actually £3 cheaper than the Smashbox Primer Water. 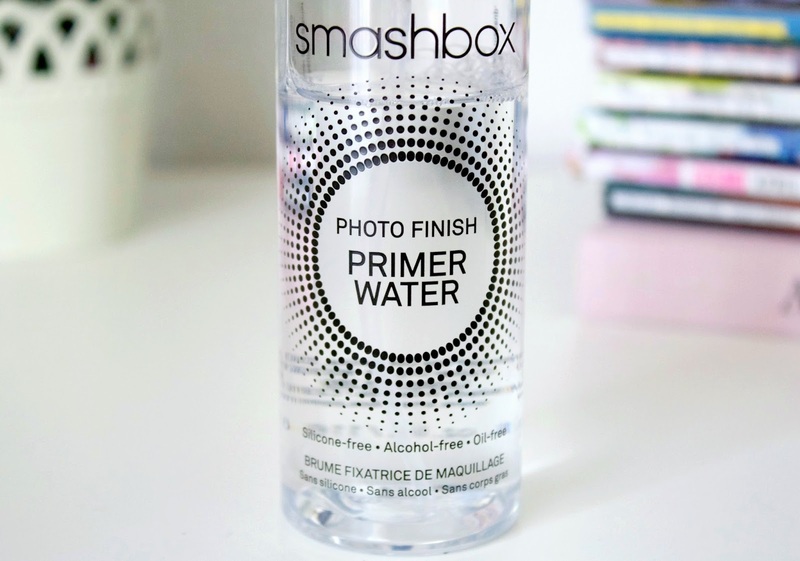 Overall I find the Smashbox Primer water is great for prepping the skin and adding moisture before foundation application, but no good for use after makeup application as it leaves a slightly sticky layer. Would I repurchase it? Yes, but I don’t feel like this is a holy grail product that I couldn’t be without, and I could just use other primers I have, but I like that it’s a spray and you don’t have to touch the face.